Autumn, no stranger to grief and lost, is inconsolable when Maylee, her much loved niece is abducted a month before her high school graduation. Autumn has not given up hope of finding her – alive. She believes and is frustrated by what she sees as the detective in charge of Maylee’s case doing next to nothing to find Maylee. Finally, Autumn decides to take matters into her own hands and gathers a strength within herself to search for Maylee – by herself, alone. She even moves across the country to find the man that abducted Maylee and to get Maylee back from him. This fictional story is exceptionally well written, ominous, compelling, riveting, and portends the truth of what often happens to abducted young women. The same young women that we so often see in Newscasts, Internet, and in local newspapers, with pleas from family and friends to help find their loved one. These abductions often cross our visual paths, but then, it is as quickly forgotten. But, what we don’t know, is that it is much worse than we ever thought possible. 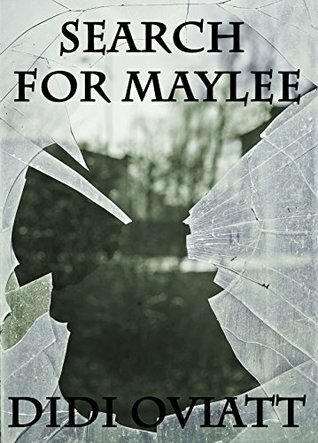 I highly recommend this spell-binding story, Search for Maylee. Thank you Karen for this lovey 5 star review!! I agree K.D. such a fantastic read. You can really feel Autumn’s emotions and it was so bitter sweet. Fantastic writing!